Outstanding Clarity and Exceptional Target Separation Viewed on an 8.4” Display! 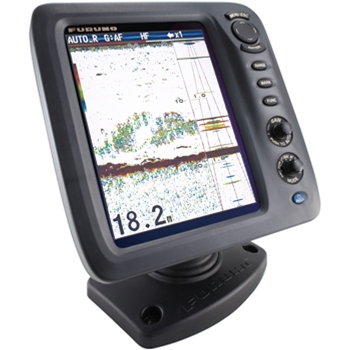 Furuno offers both fresh and saltwater anglers the perfect stand-alone fishfinder with a large, bright screen that’s intuitive to operate. With more than 60 years of industry leading sonar technology, Furuno is proven to stand the test of time. 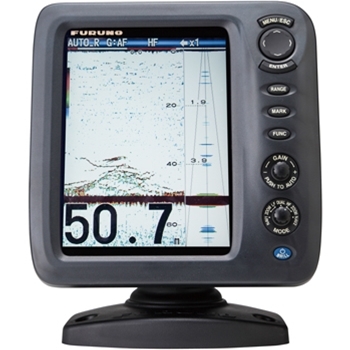 Compact, durable and housed in a waterproof case with a perfect sun-light viewable VGA polarized screen, the Furuno FCV-588 is a must have and is sure to be on many boaters wish lists for years to come. Furuno’s RezBoost Sonar Technology offers unparalleled clarity and target separation that the most well know of competitors can’t compete with. RezBoost is a revolutionary new signal processing technology that Furuno invented which achieves CHIRP-like performance from your traditional 600w or 1kW Transducers. The FCV588 offers up to 8 times the target separation than its predecessor the FCV587. The 588 utilizes Furuno’s FDF (Furuno Digital Filter) technology to identify the transducers wattage capacity and adjust its output power to match. The digital filter helps adjust much more than just gain, STC and output power; it also helps reduce an inaccurate depth presentation when a large bait pod is right below the transducer obstructing the pulse. This new technology improves performance in both shallow and deeper water applications and can be adjusted either automatically or manually. The Bottom Discrimination function (proper transducer required) that provides instant recognition of the actual bottom composition such as sand, mud, grave and rocks. Knowing what type of bottom you’re fishing over is very important for fisherman targeting certain species of fish that have bottom preferences much like a grouper favor rock bottom or a flounder prefers a sand bottom certain times of the year in deeper water. Furuno FCV-588 also contains Furuno’s unique Accu-Fish ID feature which helps to identify individual fish and identifies the actual size of that fish. View programmable navigation data displays with analog and/or digital navigation data, when networked via NMEA-0183 to other compatible devices. THE TRANSDUCERS LISTED BELOW WILL PROVIDE BOTTOM DISCRIMINATION AND ACCU-FISH. OTHER TRANSDUCERS MAY NOT, PLEASE CONTACT THE GPS STORE AT 1-800-477-2611 FOR HELP CHOOSING A PROPER TRANSDUCER. MB1100 MATCHING BOX IS REQUIRED WITH 1KW TRANSDUCERS THAT DONT HAVE A 10 PIN CONNECTOR.